White Rivers Media – Top Digital Marketing Agency, Online Marketing Solutions – Mumbai, India. Organization White Rivers Media – Top Digital Marketing Agency, Online Marketing Solutions – Mumbai, India. White Rivers Media is one of the top Digital Marketing Agency in Mumbai & Delhi that provides Online Marketing Solutions. Started in 2012, we at White Rivers Media provide not just digital solutions but we breathe life into brands. We offer a wide range of Online Marketing services - Social Media, Search Engine Marketing, SEO & Video Ads. White Rivers Media is a full-service Digital Media Agency that provides Online Digital Marketing Solutions, Social Media Marketing (SMM), Search Engine Marketing (SEM/ PPC), Search Engine Optimization (SEO), Media Planning & Media Buying, Video Content Advertising, Web Design & Development. White Rivers Media, a Digital Marketing Company based out in Mumbai & Delhi has featured across various Media news websites expressing views about the Digital Media Industry. Check out the Media News section to know more! White Rivers Media has successfully provided complete Digital Marketing Solutions for all its clients ranging from E-Commerce, Product, Entertainment, Real Estate, Food and Beverage, OTT & Finance industry. Check out the list on our website, of our happy clients across the globe! Get the latest updates about digital media trends from the experts at White Rivers Media. Know more about ✓ Social Media Marketing ✓ Snapchat Ads ✓ Instagram Ads ✓ Search Engine Marketing ✓ Search Engine Optimization ✓ Media Planning & Media Buying ✓ Video Content Advertising. Contact us for Business Enquiries and Digital Marketing Jobs. Simply Fill a Form or Reach Out via E-mail - Check out our White Rivers Media page to know more!! 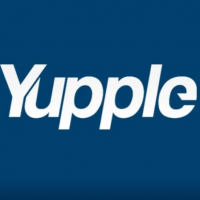 Yupple Technologies – Leading digital marketing company – New Delhi, India. Init SEO, Digital Marketing Agency – SEO and online marketing – Chennai, India. Radon Media, Advertising Agency – Passionate about pushing the limits of digital marketing – Pune, India. 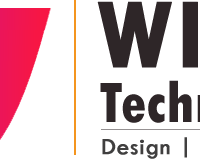 Withs Technosolutions – Website Designing, Mobile App & Software Development – Gwalior, India.